Stephen Colbert is gunning for Sen. Jim DeMint's Senate seat. Late night comedy host, super PAC shepherd, presidential primary candidate… and senator? 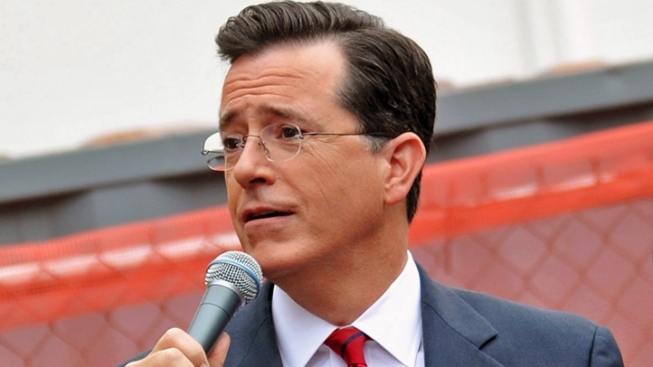 Stephen Colbert is angling for the seat that South Carolina's Sen. Jim DeMint is vacating. With all eyes on the state's Republican Gov. Nikki Haley, tasked with appointing a new senator to DeMint's post, the faux conservative "Colbert Report" host seemed to have plenty of support, too. "Let's see, you want somebody young, somebody conservative, somebody from South Carolina, maybe somebody who had a super PAC…" the Charleston-bred host said on his show Thursday night. "Now, folks, I'm not gonna sit here and say I should be South Carolina's next senator — not when so many other people are saying it for me!" Among those other people: The New York Post, USA Today and Roll Call, he said. The Atlantic also weighed in. "I know when I look at the U.S. Senate, I say to myself, 'You know what they could use? Another white guy,'" Colbert quipped. He encouraged watchers to tweet at Haley why she should appoint him with the hashtag #SenatorColbert. Haley responded to Colbert's interest with a Facebook post on Friday. "Stephen, thank you for your interest in South Carolina's U.S. Senate seat and for the thousands of tweets you and your fans sent me," the Palmetto State governor said. "But you forget one thing, my friend. You didn't know our state drink. Big, big mistake." Haley was referring to the pair's good-natured "Palmetto-off" on his show earlier this year, when Haley stumped him on the state drink. "I didn't realize my state was so boring," Colbert said in that interview, on learning that his state drink was milk. Check out the clip from Colbert's Thursday night show, replete with his Senate hopes, below.